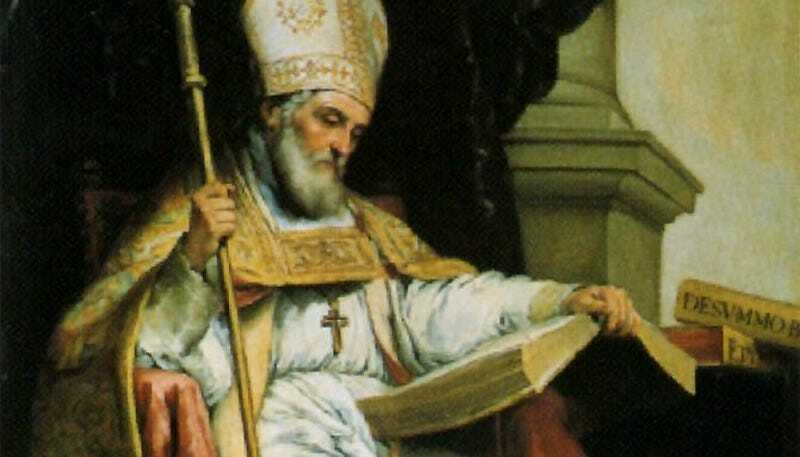 In 1997 Pope John Paul II declared Isidore of Seville the patron saint of the internet. Saint Isidore died in the year 636, long before the first host-to-host ARPANET connection in 1969. But Isidore did try to record everything ever known in an encyclopedia that was ultimately published after his death. Saint Isidore wrote a 20 book opus Etymologies, also known as the Origins, in which he tried to record everything that was known. Published after his death in 636, it was for a thousand years considered the encyclopedia of all human knowledge. Written in simple Latin, it was all a man needed in order to have access to everything he wanted to know about the world but never dared to ask, from the 28 types of common noun to the names of women’s outer garments. It was a tool by those seeking wisdom much like the internet is used now. It should be noted that some Catholics don’t consider Isidore of Seville a “real” saint, because he was simply declared one by Pope John Paul II, rather than going through the traditional canonization process. But since the pope is considered infallible in all matters of faith, Isidore of Seville is the best Catholics are going to get the next time their internet goes down. Saint Isidore of Seville shouldn’t be confused with Saint Isidore the farmer, the patron saint of farmers and laborers.